Releases for men and women! These oversized circle scarves for men and women come in two designs and textures. One has a very soft texture, it drapes over the schoulders and folds gently around the body. The second, a more rugged knit, wears somewhat higher in the neck. Both have a male and female version included and the fatpacks have an extra 'all-in-one' edition that is scripted for colour change. Another unisex release to complete your winter look are the beanies in knit and in striped wool textures. 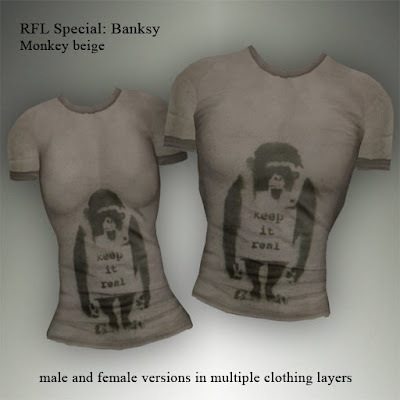 There is again a male and female version included and the fatpacks also have the colour scripted extra. 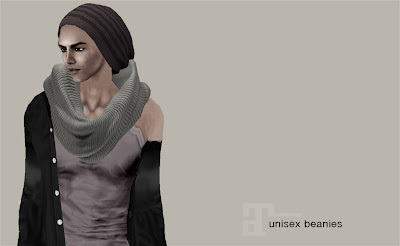 The beanie can either be worn on the skull without hair, or it can be worn to compliment your hairstyles. 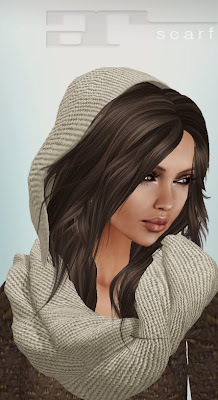 Both scarves and beanie have (the usual) Copy/Modify/No Transfer permissions. There are demos available and they are located at the clothes & accessories department, near the hall and next to the other accessories. Also released today in all colours is the Ymre II hairstyle. It is another version of Ymre with the hat, but has a messy braid on the back. 4 new hairstyles out today! 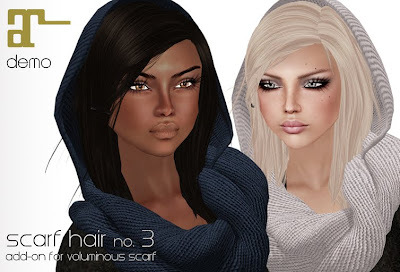 This weekend we released 3 new hairstyles and a Voluminous scarf, for which we also created 3 hair add-ons. When we released our SoHo boots, almost a year ago, we received numerous requests to create some basic pumps in that design and shape. These basic pumps come in a series of leather textures (some of which patent leather), a series of suedes and a series toe-cap leathers. 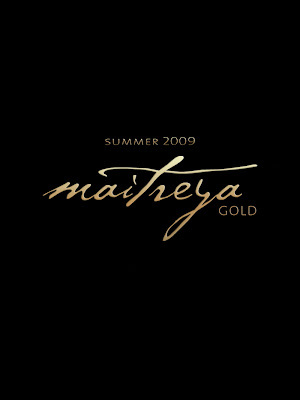 Two new styles to add to your Maitreya Gold shoe collection. The Esprit heels come in 11 warm and natural colours. Made of leather with a wooden plateau and heel. The Esprit-Xtd are patent-leather high plateau heels, in 9 funky colours. The Esprit-Xtd strings are scripted for colour change, allowing for many hot combinations. 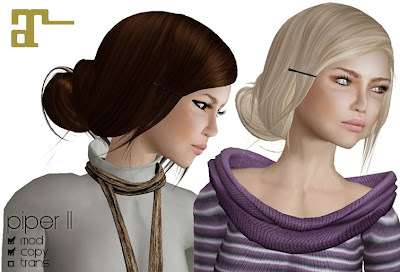 The 4 hair fair styles have been moved to the main store now too. 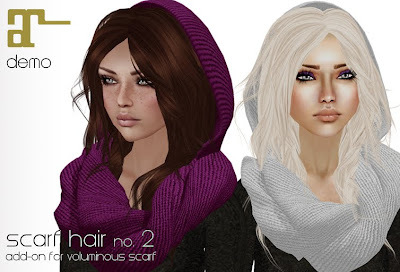 With this years hair fair about to be opened to the public, we have released four new styles. The curly, soft waves that characterise these hairstyles create that messy beach look that is so hot for this season! We introduce you: Dylan, Bo, Moon and Reign!! Reign is our charity donation style. 50% of the sales will go to Locks of Love for the duration of the fair. 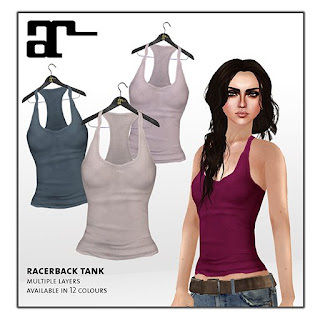 With these new hairstyles we will also introduce 11 new colours that are added to the 6 colour packs. The five colours we now have in each colour pack are sorted and created for an optimal range and gradation in tones. 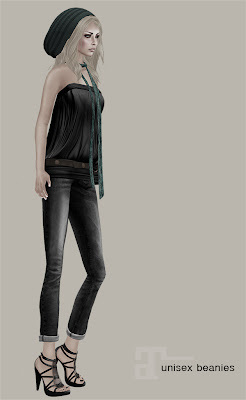 and sculpted sarong tops and racerback tanks..
We had the honour to do a great collaboration project with Zaara Kohime! 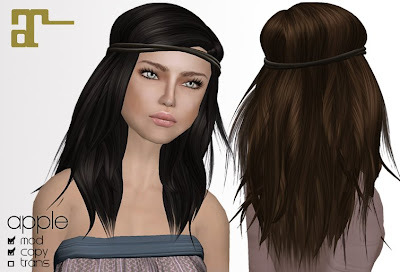 We created three hairstyles that can be worn with Zaara's new headjewelry pieces. All the colour packs contain a version fit for the jewelry and a version that can be worn without the accessories. 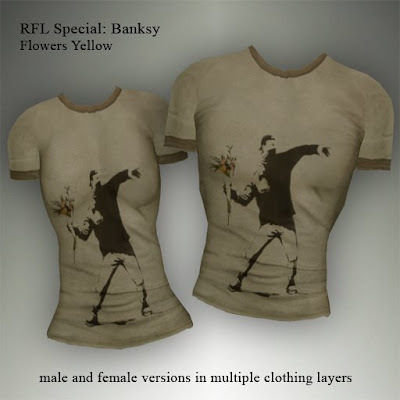 You can find two Banksy art tees at the Maitreya booth at the clothing fair (sim 1).They are available in 3 faded colours and both male and female versions are included. All proceeds of these tees will go to RFL. The 'springshoot' hairs are out now! 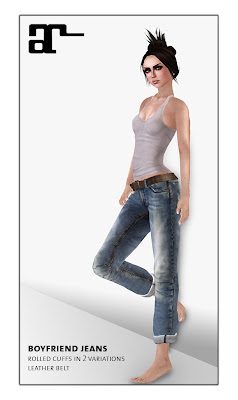 You can find the (free) demos of Apple, Faye, Piper and Piper II at our mainstore.